AUTOMOTIVE NEWS: Will Toyota do whatever it takes for the Camry to remain the best-selling car in America? SHIGEKI TERASHI: Incentives have only short-term effects. Our focus is on how to improve our cars rather than [use] incentives. 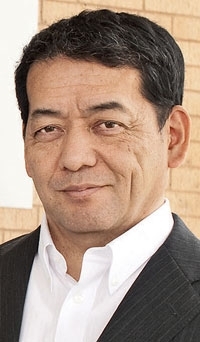 Shigeki Terashi, Toyota's new head of North American manufacturing, sales, engineering and purchasing, is an engineer. That's a big change for a company that has always sent sales, marketing and administration executives from Japan to hold top North American positions. Terashi, 57, spent the first 15 years of his Toyota career testing prototypes and competitors' products as a vehicle development engineer. During his second 15 years he was chief engineer for the Solara coupe and Avalon full-sized sedan, as well as the prestigious Crown for the Japan market. Terashi took command of Toyota's engineering and manufacturing operations in North America in early 2011, before adding oversight of Toyota Motor Sales U.S.A. in April. Three weeks into his tenure, Terashi spoke with Staff Reporter Mark Rechtin. Q: What is No. 1 on your to-do list? A: I would devote my efforts into the activities to achieve what [Toyota Motor Corp. President] Akio Toyoda has always been saying, and that is "to make even better cars." My main job is to create a system wherein there will be collaboration in the United States with regard to development, manufacturing, purchasing and sales. Are you a hands-on executive or a delegator? The role of the top person is to maximize the strength of the team. To give you a specific example, I believe that now is the time to further localize in North America. This is the time to have the parts supply here in the United States and to do manufacturing here in the U.S.
We have to think of the welfare of [Japan and the United States] when making a decision regarding more production in North America. So I will be taking the leadership in setting up a big framework as to what models would be sent where at what timing. I would be responsible for decisions related to such a big framework. As for the specific implementation of that plan, responsibility would be delegated to the executive in charge of manufacturing. In doing this, there will be a lot of tough negotiation and discussion with the Japan side. I feel that I should be responsible for such talks. About 70 percent of Toyotas sold in the United States are assembled in North America. How much more would you like to see? Up to this time, global models have been manufactured both in Japan and in North America. We call it bridge manufacturing. For example, for Camrys sold in North America, from now on, they will all be made in North America. And from next year, all the Highlanders destined for the U.S. market will be manufactured in North America. So all the models that have been manufactured under the bridge manufacturing plan are presently in a trend so that they will all now be manufactured in the U.S. And we are now even thinking of exporting those models manufactured in the U.S. When will Toyota need to expand its North American manufacturing base? We are not considering building more plants or more lines in the factories. If we maximize what we have now, I believe that we can increase our capacity. We believe we can increase the capacity in the Indiana plant to manufacture more Highlanders. The same is true with RAV4. We want to increase RAV4 production by modifying the plant lines in Canada and in this way increase capacity. Toyota grew aggressively through the early part of the last decade. But the recession, unintended acceleration crisis, earthquake/tsunami and strong yen have derailed that growth. Is there a target for future growth? The first time I worked here was from 2000 to the end of 2004. And so I was here in the United States at the beginning of that rapid growth time period you were talking about. And the second time that I am here began in July of 2008. The second time I experienced those things you mentioned, such as the effects of the economy, earthquake, tsunami and the allegations related to the technology. We have been reflecting on all these things. One of our reflections is that perhaps we may have thought [too much] about the number of units to be sold as well as profitability. If we were to try to go back, then I would be talking about building another plant or another line to you at this time. The big difference in how [we] run our business is the fact that we are now emphasizing the optimization of our manufacturing capacities. We want to hear the voice of our customers directly. We want to know what kind of vehicles they want and we want to study how we can manufacture those vehicles in the United States. That is our focus rather than the number of units that will be sold or profitability. The Toyota Production System popularized just-in-time manufacturing. But last year's earthquake and the recent fire at a German resin factory have underscored problems of overreliance on a small supplier base and a lack of extra inventory. Is Toyota likely to change how it manages its production parts supply? The Toyota Production System is an important bridge for Toyota, so we feel that we must protect it. And so we are making a lot of effort with regard to the supply chain. There are Tier 1, 2 and 3 [suppliers], and we are reviewing what risks there are at each tier. Our focus is to do risk management well. Unlike before, the parts are being supplied globally so this is a truly complicated situation. Even if one component is lacking, the automobile cannot be completed. Rather than emphasizing the inventory of all component parts, we want to emphasize a smooth running system and we want to make sure that we do risk management in parts supply well. To give you a recent trend as an example, we want to move toward common and general component parts rather than special component parts made just for Toyota under special specifications. Aside from hedging currency and building more cars in the United States, what is Toyota doing to offset the effects of the strong yen and stay profitable? There are many possibilities. Before any reduction in price or margin, the first thing we need to consider is how much Toyota itself can do both in Japan and the U.S. Recently we started a new activity called TNGA, Toyota New Global Architecture. This is our reflection on how to make vehicles from the start. In other words, we're going to think anew and reflect on how we make vehicles from the very bottom. Step No. 1 is to study how to make really good cars rather than considering issues such as the commonization of platforms or component parts. So we will basically develop a good automobile and then make good models based on that. By doing this we will be able to decrease the number of platforms, also the number of component parts and so this is what we want to endeavor before we talk about raising prices or decreasing margin. How important is it for Lexus to regain the U.S. luxury sales crown that it lost in 2011? Last year's result was a judgment rendered by the customers. We really have to develop and produce an automobile that the customers want to buy. Due to the economic effect and the earthquake and tsunami effect in the past, there was a little delay in the introduction of new models. This year we launched GS as well as ES. If we keep on endeavoring this way, we believe that Lexus will be a brand that will be chosen first by the customers. What about Americans developing cars for Toyota? [The 2013] Avalon was totally and completely developed in North America. The platform is common with Camry, so the platform is a collaboration work with the Japan side. But the upper body is being developed and designed totally in North America and the chief engineer is an American employee. And so this trend will continue. We are confident that we will come up with better and wonderful cars.